June 2, 2011 -- Metropolitan Water Reclamation District -- "Lead on this." June 2, 1960 – Mayor Richard J. Daley orders a suit filed against the Illinois Central Railroad to force it to repair the docks along its property on the south branch of the Chicago River between Michigan Avenue and Lake Shore Drive. 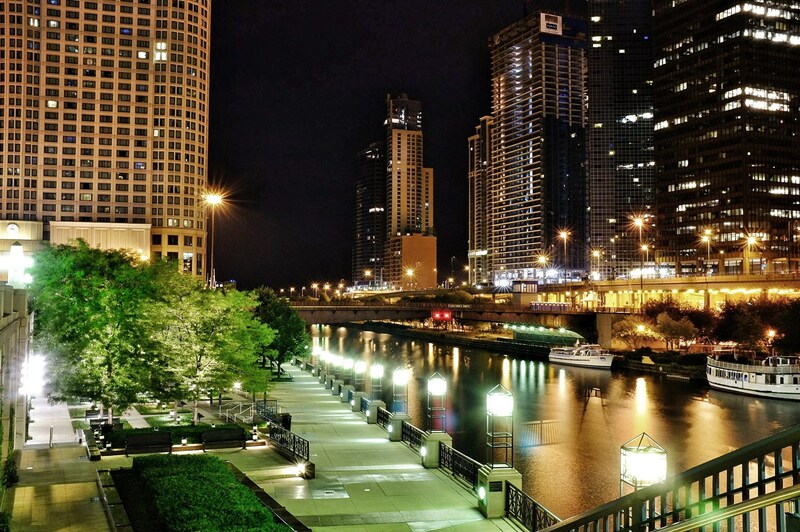 The stand-off between the city and the I. C. results from a long-standing agreement between the two parties that provided the city with an easement along the river when it was planning an extension of Wacker Drive to Lake Shore Drive. The city contends that maintenance is up to the railroad because the easement was never used, pointing out that the I. C. has erected signs that forbid the mooring of boats in the area unless permission is obtained from the railroad. The whole mess started during the preceding summer when a series of newspaper articles created a stir about the conditions found on railroad property all along the river. The photo above shows this section of the river approximately where the cloud of steam is showing on the left of the photo. 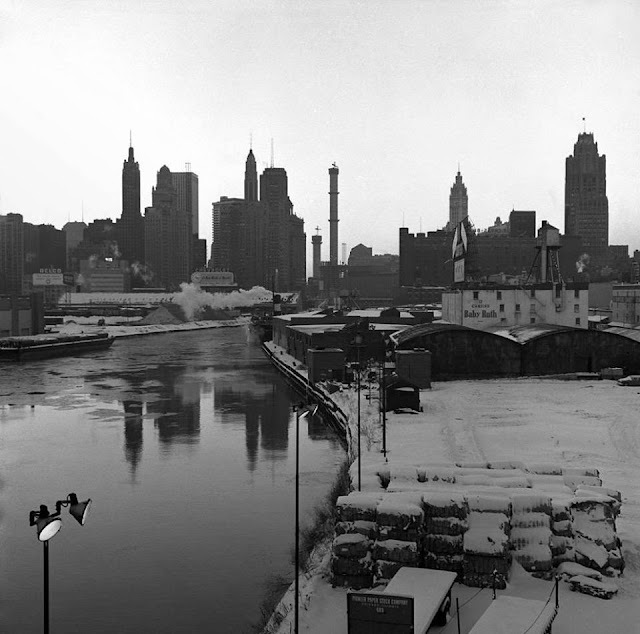 Note the cores of Marina City rising on the north side of the river in the background.